Kabbalist Rav Berg reveals the secrets of the Zohar portion of Vayeshev. Read the full article and connect to the energy of the week here. Kabbalist Rav Berg reveals the secrets of the Zohar portion of Vayishlach. Read the full article and connect to the energy of the week here. Kabbalist Rav Berg reveals the secrets of the Zohar portion of Vayetze. Read the full article and connect to the energy of the week here. Kabbalist Rav Berg reveals the secrets of the Zohar portion of Toldot. Read the full article and connect to the energy of the week here. 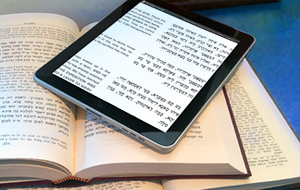 Kabbalist Rav Berg reveals the secrets of the Zohar portion of Chayei Sarah. Read the full article and connect to the energy of the week here. Kabbalist Rav Berg reveals the secrets of the Zohar portion of Vayera. Read the full article and connect to the energy of the week here.